“Reading How-To. The Uses and Users of Artisanal Recipes” took place at the Max Planck Institute for the History of Science in Berlin on 19 and 20 September 2014. Organised by, Sven Dupré, Elaine Leong and Doris Oltrogge, the workshop investigated artists’ and artisans’ uses of “how-to” writing. Broadly defined, this included any text which tells its reader how to do something – from medical recipes to treatises on art. As Sven Dupré emphasised in his introduction, artisanal knowledge was often passed on through oral traditions, and learnt by doing. In the workshop, recipes and other how-to texts were rarely the predominant source of knowledge, and certainly never the only one. Rather, they are in dialogue with physically performed practices. This raises the kinds of questions the conference sought to address. Why did people write down recipes? Who wrote them down and who read them? And, finally, is there a clear category of “how-to”, and what kinds of writing does it encompass? Pamela Smith opened the workshop by presenting a broad variety of “how-to” books and their readers. Although artisans might seem like an obvious audience, it turns out that they owned more devotional books than “how-to” texts. The latter were, however, very popular with elite readers such as monks scholars and estate owners. Artisanal and elite readers read “how-to” in different ways – to brush up their technical vocabulary and hone their ability to judge works of art, for spiritual reflection, or simply to improve their reading skills.. Thinking about the authors of books as readers, Montserrat Cabré showed that compilers of medieval recipe collections were aware that their authority as writers was bound up with their competence as readers of how-to texts. To be taken seriously as authors and compilers, they needed to present themselves as good readers. The act of reading was clearly an important issue in the early modern period, but how can we reconstruct it? Fortunately, readers sometimes left clues in the form of annotations. In her extensive research on artists’ recipes, Sylvie Neven identified three categories of readers’ annotations. While some functioned as reading-aids, others represent readers’ and users’ personal responses to the text, and some had no apparent relation to the text at all. Annotation, then, does not necessarily mean active engagement with how-to. Deborah Krohn illustrated this in her study of annotated copies of a popular Italian cooking manual. She suggested, however, that it is possible to distinguish more active readers because the pay more attention to the specific technical details of recipes. Several of the papers enriched our picture of early modern reading and annotation practices by focusing on one particular reader. 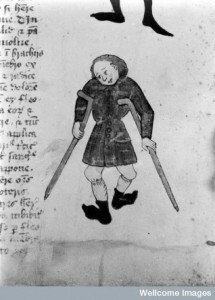 Peter Jones illustrated how Walter Hamond, a member of the Barber-Surgeons’ Company in the seventeenth century, went about reading a fifteenth-century manuscript on surgery by John (of) Arderne (1307-c. 1378). Hamond’s numerous notes reveal how he modified instruments and recipes according to his own practical experience, but also his dismay upon realising that his medieval colleague was rather better paid for the same surgical operation. Rudolf Gamper‘s paper on Sebastian Schobinger’s handbook of alchemy described an even more involved reader. This manuscript, written between 1602 and 1610, is organised around a core text, Isaac Hollandus’ Opus saturni, which describes the process of turning lead into gold. Schobinger’s comments and elaborations are meticulously keyed to the numbered paragraphs of the Opus saturni. They draw on other manuscript or printed texts, but also on knowledge obtained from local experts and on Schobinger’s own experience, thus representing a kind of practical exegesis. In contrast, Hanna Murphy showed that readers of how-to were not always predominantly interested in its practical content. 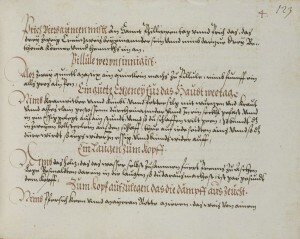 The notebooks of Georg Palma (1543-1591), city physician of Nuremberg, show that he was more interested in the origin of the recipes than in the technical details of artisanal processes. Palma’s reading of “how-to” books thus document not so much his medical practice as the way he read his way through his medical library. In addition to individual practitioners and scholars, reading how-to could be a collective phenomenon. In the sixteenth century, medical recipes were all the rage at the court of the Electors Palatine, as is testified by the large collection of recipe books which Karin Zimmermann introduced. 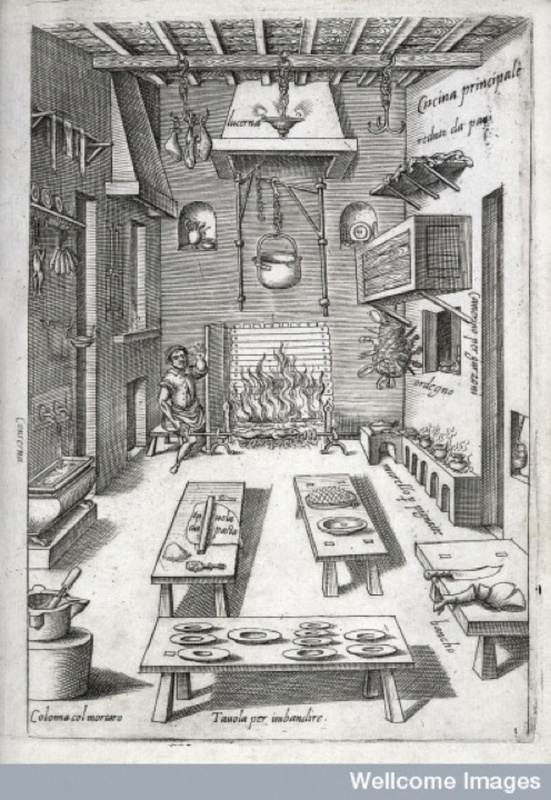 Sheila Barker discussed another lively environment in which recipes played an important part, namely the Medici pharmacy in grand ducal Florence. Analysing the trajectories of artisanal recipes, she showed that they could function as a social currency among courtiers, be obtained by subterfuge, or rise from humble artisanal beginnings into the Medici’s recipe collection. 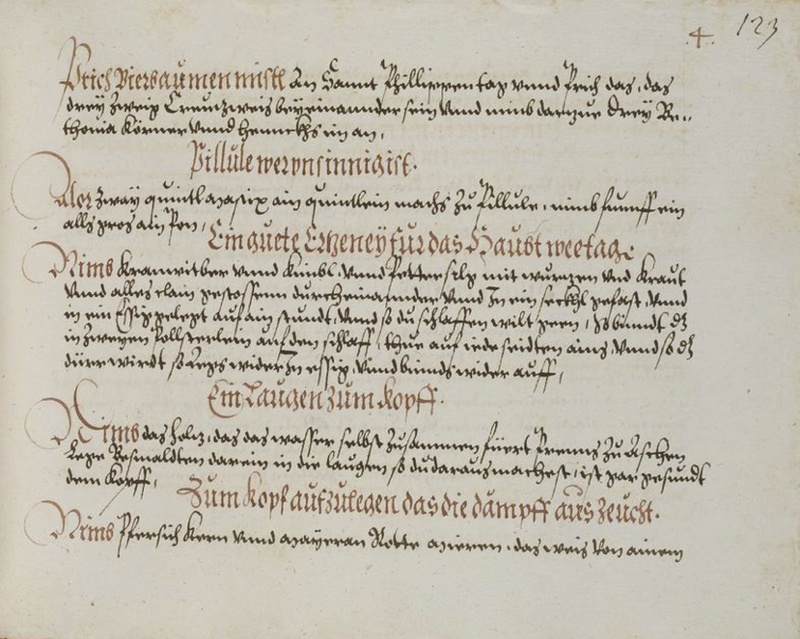 The recipe book of duchess Dorothea Susanne von Sachsen-Weimar from the collection of the electors Palatine, 1573. Heidelberg University Library, http://digi.ub.uni-heidelberg.de/diglit/cpg182. Several of the papers further problematised the issue of what counts as a how-to text. 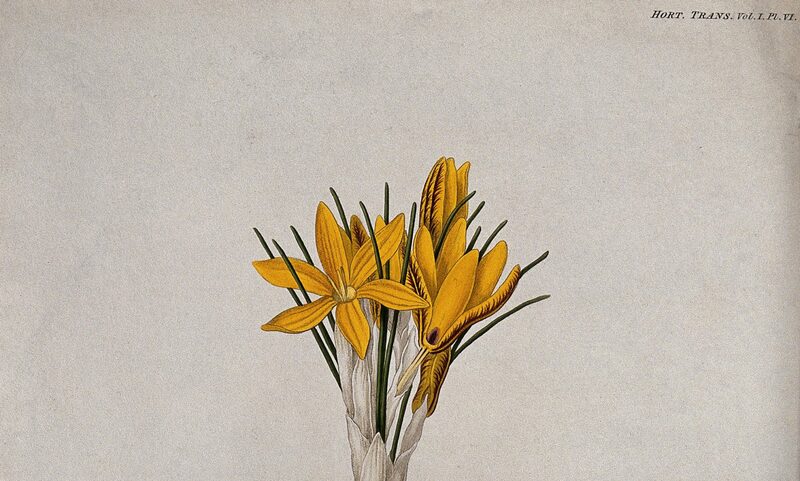 Barbara Tramelli showed that the treatise De colore by sixteenth-century Italian painter Gian Paolo Lomazzo discusses ingredients for pigments and production techniques, but not in enough detail to allow readers to actually make their own. Steven Johnston explained that instructions for making things could be embedded in objects as well as texts. As an example, he presented a “two-foot-rule” which was not only a physical yardstick, but also embodied a set of rules for the construction of ships. Finally, Daniel Jütte introduced us to early modern cryptography manuals as yet another kind of how-to books. These diverse case studies brought a good insight into the variety of so called how-to books. But what exactly do we mean by this term? And is a recipe book still how-to, even if its main interest is not in describing procedures, as seems to have been the case with some of the presented books? These questions made for a rich concluding roundtable discussion. Alternative terms were suggested, such as “rules” or “pragmatic literature”, and ways of defining how-to subjected to scrutiny. It became clear that more research will be necessary to establish whether people read how-to books differently from other books, and whether the process of reading thus defines how-to as a category.